The MTA can also help you develop a safety management system, unique to your business and simple to implement. A Safety Management System (SMS) is the next step in safety planning after a safety audit has been done or the safety audit can be carried out as part of your SMS. An SMS is a method of managing workplace safety; you will receive a manual that is personalised specifically to your business and provides you with the tools to manage safety in a procedural and methodical way. Why Have a Safety Management System? offered as a starting point toward the development and implementation of a more comprehensive system. Reduce risk of workplace accidents. Incident reporting, recording and investigation. Other relevant policies and regulation that may be relevant to your workplace. 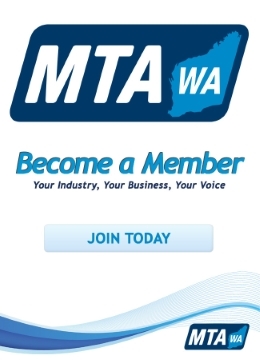 The MTA WA’s Safety Management System can be purchased direct from the MTA. If you would like more information or are interested in a Safety Management System, please contact our OSH consultant on 9233 9800 or email [email protected] .